A friend of mine introduced me to this little gem, sitting unobtrusively in Duncan Street at West End. From the outside it is impossible to imagine the vast variety of goods for sale inside. 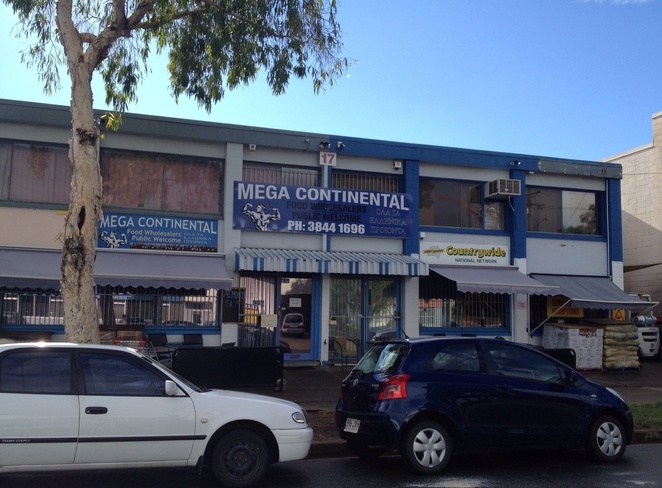 Everything you could possibly need to cook Greek or Mediterranean cuisine can be found here. Spices, teas, coffees, flours of every kind, herbs, sauces, marinades, jams, honey, dates, tinned fruit, spreads, sugared almonds, nougat, biscuits, breads, filo pastry - the list goes on! 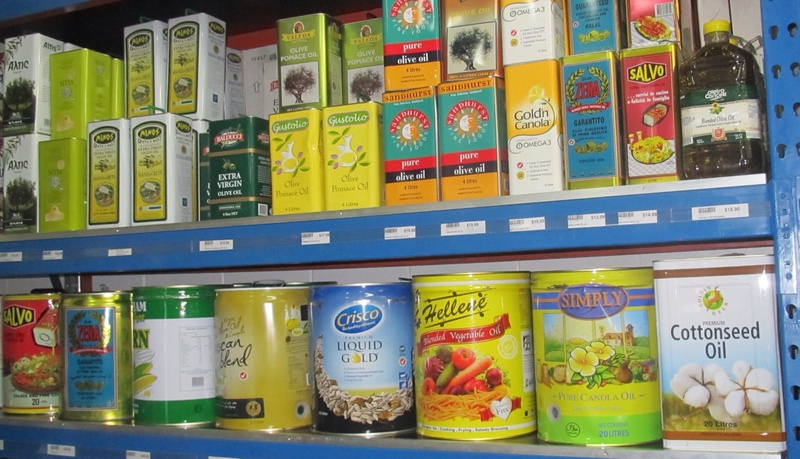 Giant tins of every conceivable type of oil sit brightly along the back wall. Whilst this a wholesale deli, it is open to the public, which is why I found myself here. My friend is a Thermomix consultant and buys the ingredients for her cooking demos here at prices way below the supermarkets. The Deli buys it's stock in bulk and is therefore able to pass the savings on to shoppers. Whether you have your own business, a large family or simply do a lot of entertaining, this is a great place to stock up. The freezer section tempts the palate with prepared meals, rabbit, fish, quail, frozen desserts etc. Around the next corner you'll find huge tins of olives - of every description - available for you to sample before buying. And then there's the cheese cabinet. I thought I'd died and gone to heaven when my eyes fell on an enormous block of haloumi at a very reasonable price - much cheaper than the supermarket varieties. 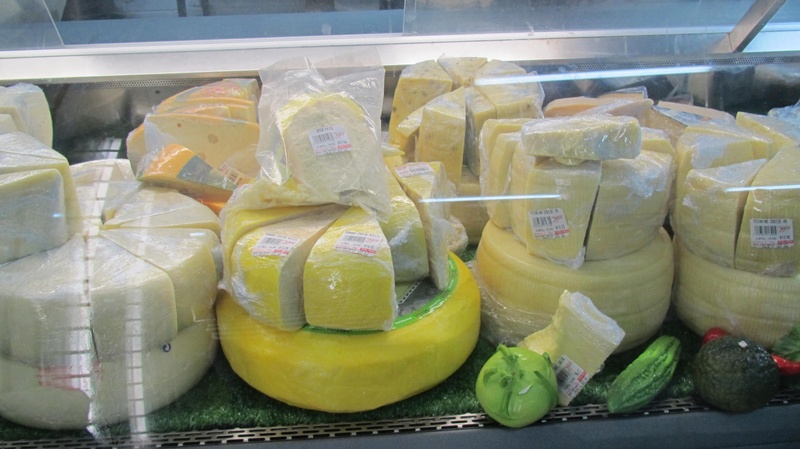 In this section you'll also find many other varieties of cheese, yoghurt, cream cheeses and ice cream. Just when you think you've seen it all, there's more. Greek coffee pots, percolators, souvlaki BBQs, pots, pans, rice cookers and kitchen gadgets also sit on the shelves. You can even purchase a backgammon set here. When you're feeling overwhelmed and need to take a quite moment to compose your shopping list, help is at hand. After some remodelling, there is now a modest little cafe at the front of the Deli. 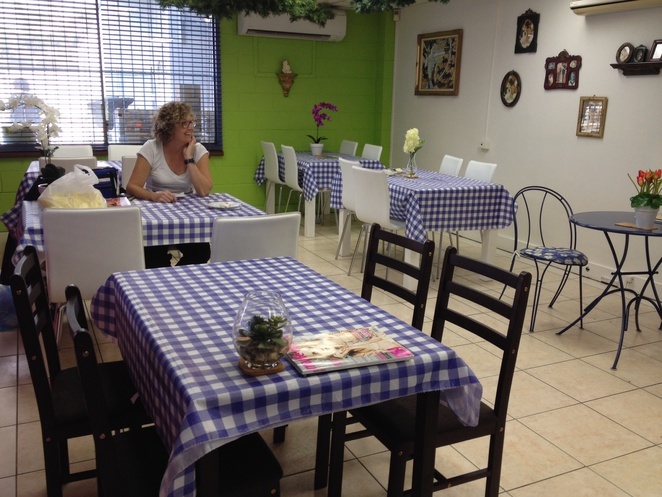 Tables adorned with blue and white checked tablecloths beckon to you to sit and take the load off, have a coffee and treat yourself to a traditional Greek sweet treat. My friend chose baklava and I savoured Greek shortbread. The coffee was perfect, our sweet treats delicious and the shopping amazing - variety and price-wise. Why not pop in and check it out and treat yourself to a coffee and sweet morsel while you're at it? 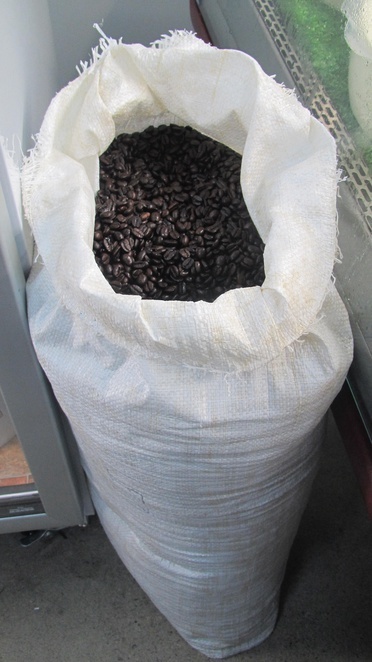 Take home some fresh coffee beans and a Greek coffee pot and Zorba's your uncle!